Featherstone is celebrating its 20th anniversary this summer. The season began with a family-themed art show of work by the Barnes family. What better way to celebrate an anniversary than with family? 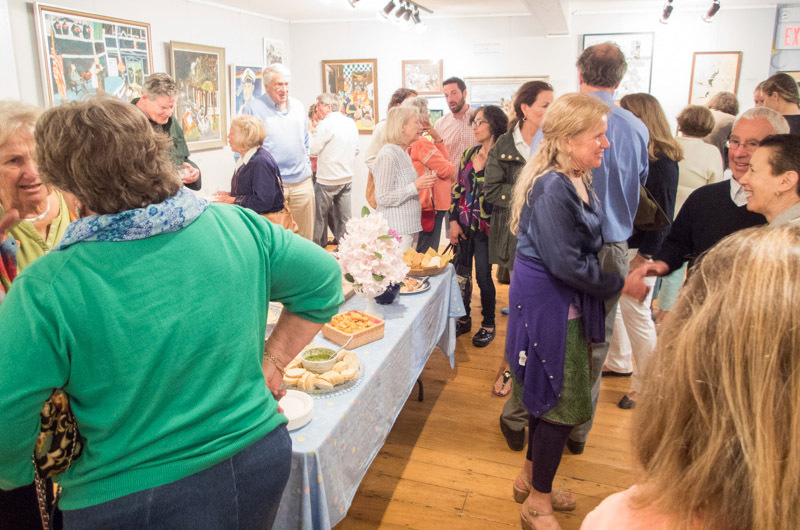 To start their 20th anniversary celebration summer, the Featherstone Center for the Arts featured Martha’s Vineyard family artwork at the art center’s Besse Gallery on Sunday. 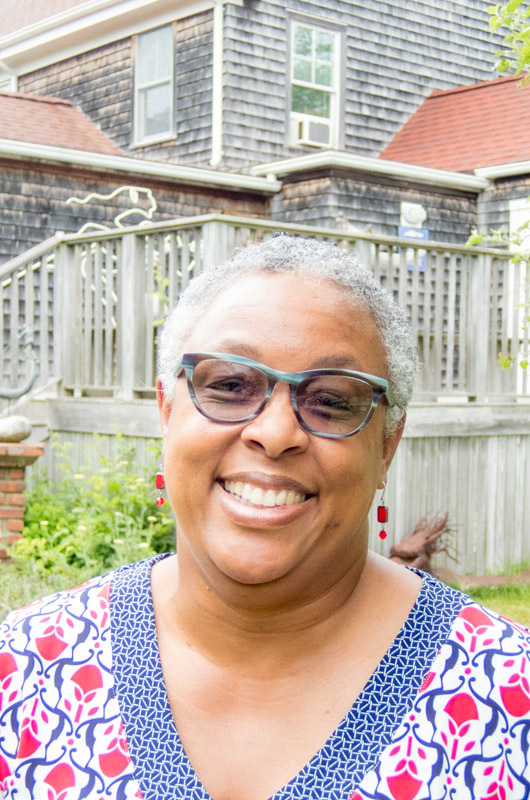 “Thinking back to last year and our planning for the 20th anniversary, we really wanted to think of families that represented all the constituents our center appeals to,” said Featherstone’s executive director Ann Smith. The art center started this season’s creative family theme by honoring the Barnes family. On Sunday an opening reception was held for the Barnes family exhibit which included four generations of Barnes artwork. Tokey Barnes’s Island Queen paintings shared the same space as paintings done by the latest generation of children. Ms. Smith wants this summer’s theme to reflect the roots of its four founding families. The center was started by the Getsinger, Bowring, Stevens and Besse families when Mary Stevens and her husband downsized their 24-acre Featherstone horse farm. Afraid of losing the land to housing developments, Ms. Stevens wanted her farmland turned into an art center. Virginia Besse, one of Ms. Stevens’ best friends, convinced her husband Arthur to buy six and a half acres of the horse farm. The Bowring and Getsinger families worked with Ms. Besse and Ms. Stevens to raise the $300,000 needed to make the purchase in August of 1996. The four families gave the land to Meetinghouse for the Arts, a non-profit community art organization developed in 1980. In honor of the farmland’s original name, the organization changed its name to the Featherstone Center for the Arts in 2002. Just as the four founding families gave Featherstone to the Martha’s Vineyard community, Featherstone continuously returns the favor. The art center regularly gifts its space, allowing dance groups from the The Yard to perform on Featherstone’s outdoor stage, and inviting other Island organizations to participate in its programming. Earlier exhibitions in the mid 1990s used pre-existing barn stalls to host pottery, woodworking, weaving, painting and stained glass studios. 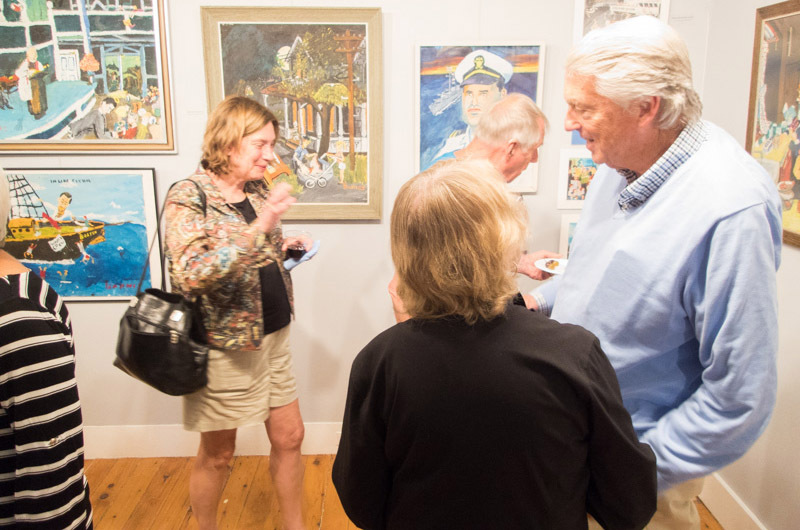 Over time, Featherstone extended its programs to further showcase the Island’s vast artistic talent. Featherstone stays busy all year long, offering art programs for children starting at the age of three, and producing numerous events such as the annual chocolate festival in October, and gift show during the winter holiday season. The arts center also hosts after-school programs including the Teen Art Café, and adult classes in ceramics, drawing, tapestry, painting and memory support. Thus summer the Musical Mondays and Thursday Jazz Nights will once again give local musicians a chance to perform starting on June 20 and June 30 respectively. And Vineyard artists will feature their crafts, jewelry and clothing at Featherstone’s Flea and Fine Arts Market starting every Tuesday after June 28. “We found the fountain of youth here at Featherstone,” said Sam Barnes at the Sunday reception. At 86 years old, Sam Barnes is the most senior member of the family. “I feel young, it’s a great atmosphere here,” he continued. David McCullough, a member of the Barnes family by marriage, attended the exhibit. 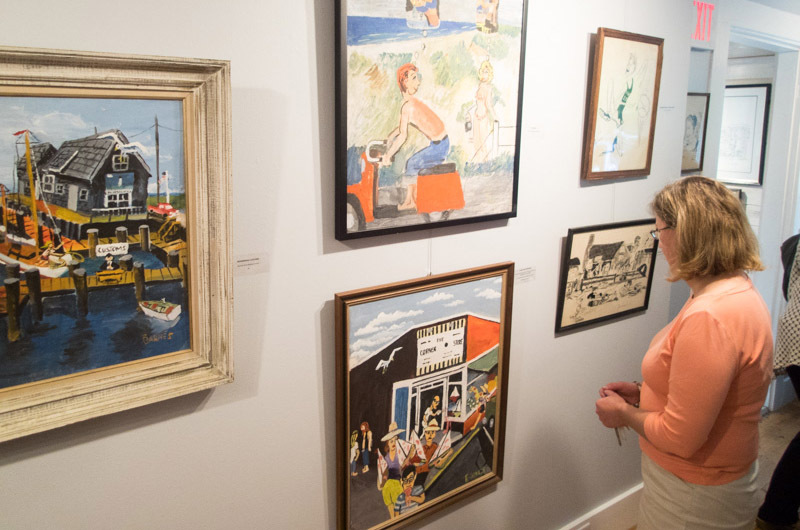 “To see all these different works by different members of the family hanging together in one place is very heartwarming for me,” Mr. McCullough said. Ms. Smith has a vision for the art center’s future. She seeks energy efficiency and more classroom spaces dedicated to particular mediums including printmaking, pottery and photography. Future plans also include addressing deferred maintenance of the old barns. Although August 28 marks the art center’s official 20th anniversary, Featherstone plans to honor its past, present and future during its annual gala at Farm Neck Golf Club on July 11. Members of the four families plan to attend the event along with former executive directors Peggy Pinney and Francine Kelly. Featherstone continues its gallery series on June 26 when the art center introduces The Paintings and Sketches of Stanley Murphy: A Retrospective. For more information on all of Featherstone’s programming including summer art classes, visit featherstoneart.org. Thank you for the lovely article about Featherstone. I wanted to correct the family name of one of our founders: it is the Getsinger family. Thank you for pointing out the error, Ann. We've corrected the story online.